Since your roof is a highly noticeable feature of your exterior, it makes perfect sense to pick a eye-catching roofing system. It can make your home stand out from the rest of your neighborhood and create a bold statement. State Roofing, a leading roofing installation company in the area, shares why metal shakes are a smart option for your upcoming re-roofing project. You want your new roof to be nothing but beautiful. The problem is you may find it challenging to look for a good roofing material that suits your home’s architectural design. Traditional homeowners, for instance, may face more obstacles when searching for the perfect roof since they have to consider the original style of their living space. 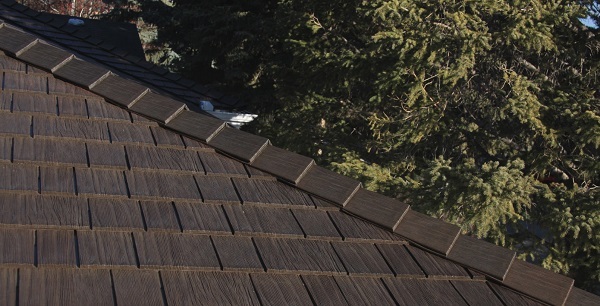 Fortunately, our line of metal roofing system mimics the look of cedar shake. You’ll get the classic charm of traditional wood shake instead of the typical plain metal roof. Metal shake has a unique look and textured dimension, which adds contour to the entire system. Apart from metal shake’s beauty, you can also expect a long-lasting roofing system when you pick this material. Since it is made of solid metal, it won’t succumb to moisture, unlike wood shake. This means it can serve your home for a longer period, which can help you save money. Metal roofing systems are considered an environmentally friendly building material since they are highly recyclable. They won’t add to the bulk of construction waste that occupies landfills. Instead, they can be transformed into other useful products. Solar reflectivity is one of the most beneficial features of metal shake roofing systems. They can help minimize the heat entering your home and preserve your cozy indoor temperature. Entrust your commercial and residential roofing installation to a reliable contractor like State Roofing. We’ll help you pick the right roofing system that won’t only complement your home’s style but also fortify your weather defense. Call us today at (360) 205-3100 to learn more about our products and services. We serve residents of Seattle and other nearby areas in WA.